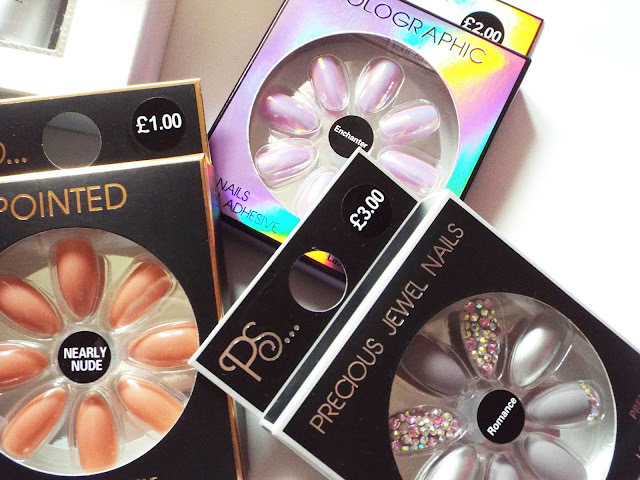 Last week I took a little trip to Primark in Manchester, and they have opened a huge beauty section. I went over to pick up some more of their false nails, as they are all I use. As you can see I managed to pick up a few different styles, I bought them for my holidays and over the festive period. They are great and so cheap; they range between £1 for the simpler design to £3 for the gem embellished designs. I then ventured over to their section of hand creams. As I am washing hands, god knows how many times a day at work my hands can get very dry. Primark has recently launched a range which has been described as 'Jo Malone dupes', there is no denying that they have definitely taken inspiration from their ranges. It has similar scents and names, so as a massive Jo Malone fan I was intrigued to see what the range was all about. I decided to pick up a 3 mini selection pack of the hand creams which they offer and it was only £4! I then stumbled onto the makeup accessories stand, where I picked up and put down the silicon sponges approximately ten times. I have heard good and bad things about silicon sponges, and instead of splashing out I thought I would try their version to see what they are like. A few weeks ago I picked up one of their foundations brushes from their deluxe line, and I wanted to try out their concealer brush so I picked it up for just £3. I finally decided to pick up some of their skincare range as I have never tried anything previously. I love, love, love micellar waters and they had a travel size version for just 90p, so I thought I would give it a try and compare it to my holy grail Garnier micellar water. 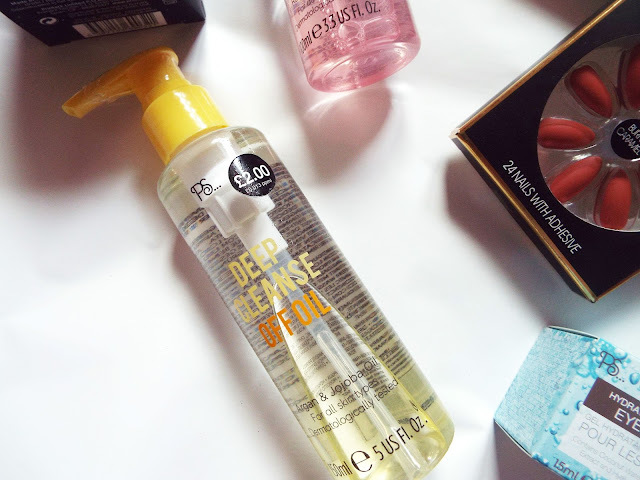 I have needed a new cleanser to take off my makeup at night, and I was drawn to their deep cleanse off oil (£2) as it also has hydrating properties. 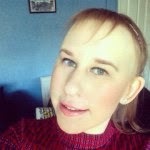 I then decided to pick up a night cream from their range called the dream cream (£4), I often wake up in the mornings feeling like my skin is very dehydrated and in need of some serious moisture. I hope this does what it says on the box, and helps restore and adds radiance to my skin. 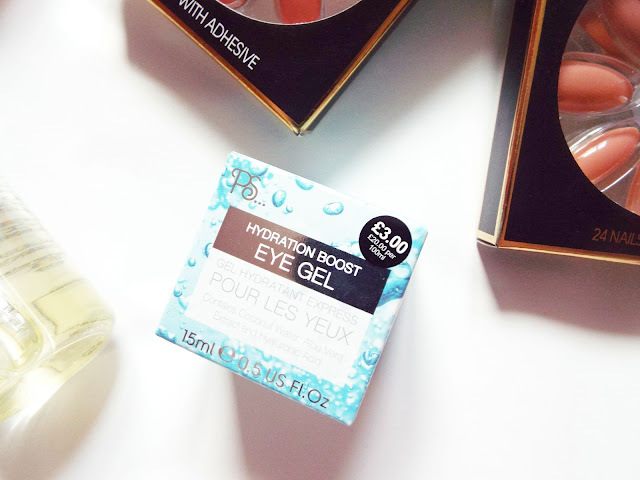 I also picked up the hydration boost eye gel for £3, this is a light and cooling under eye gel cream to help puffiness and helps to sooth and hydrate. 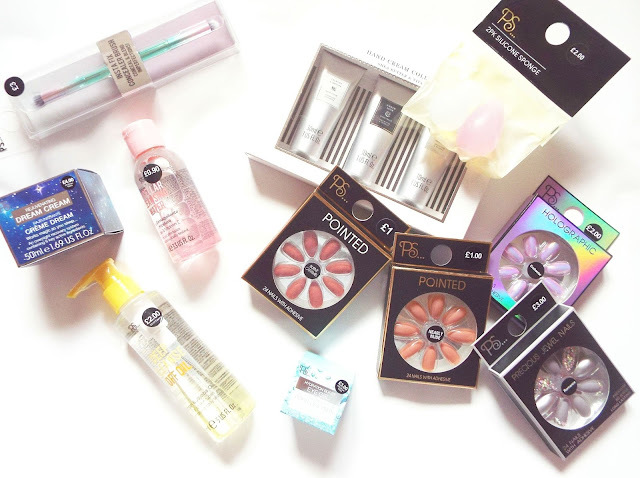 Have your tried anything from Primark's beauty range?